You are here: Home » China Watch » United Nations rights system a hostage to China’s machinations? 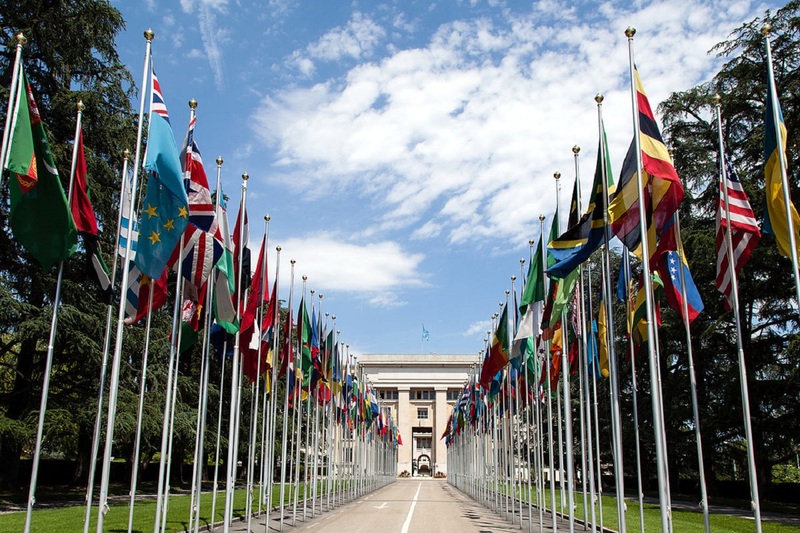 United Nations rights system a hostage to China’s machinations? UN Human Rights Council in Geneva, Switzerland. (TibetanReview.net, Oct08, 2015) – China uses repression, threats, and intimidation against its citizens as well as foreign critics and governments to try to prevent criticisms of its deplorable human rights record at the UN Human Rights Council in Geneva, said a Reuters commentary Oct 7 in the backdrop of a Tibetan monk’s experience there in March this year. 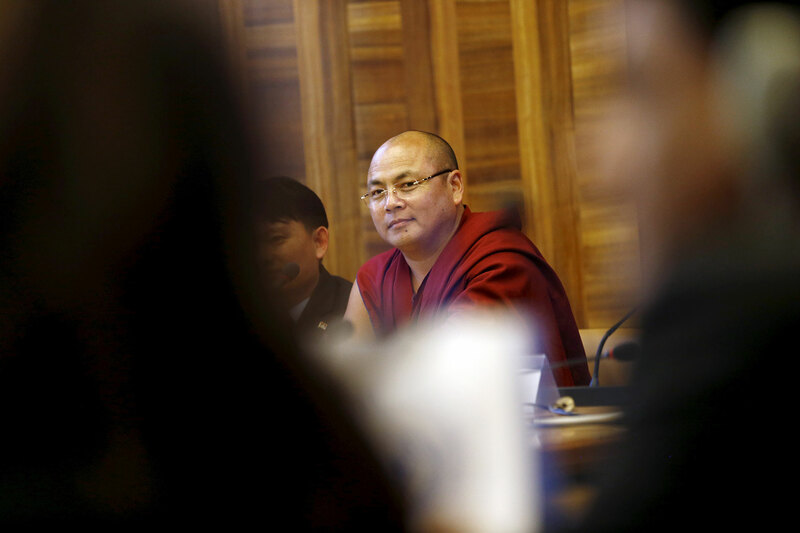 A 43-year-old Buddhist monk named Golog Jigme was in a café lounge at the United Nations complex in Geneva just before he was to testify in March before the UN Human Rights Council. Zhang Yaojun, a senior Chinese diplomat, photographed him as a way to intimidate him. 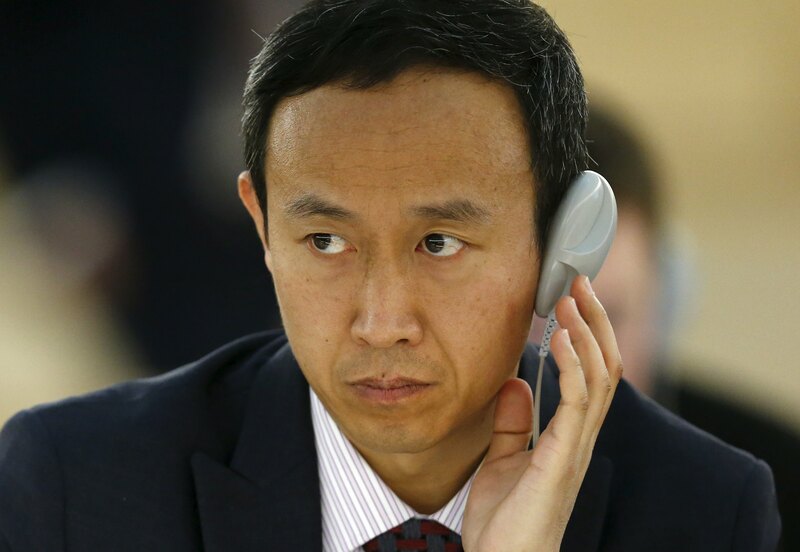 Zhang’s action violated a ban on photography in the halls of the United Nations, except by accredited photographers. When complained, Zhang claimed later that he was simply photographing the scenery and feigned ignorance about the ban. Golog Jigme had broken out of a Chinese detention center in 2012 after enduring several spells of brutal torture and near-death experiences and eventually made it to Switzerland. The commentary cited Western diplomats and activists as saying the surveillance of the monk was part of a campaign of intimidation, obstruction and harassment by China that was aimed at silencing criticism of its human rights record at the United Nations. Besides, activists who speak out against China’s rights record in Geneva have to contend with another signature Chinese tactic: coordinated interference by diplomats and delegates from Chinese government-organized non-governmental organizations known derisively by the acronym of GONGO. The commentary cited a UN database as showing there were 47 NGOs from mainland China, Hong Kong and Macau allowed to participate in meetings at the Human Rights Council. At least 34 of them were seen to be GONGOs. It noted that these groups were either overseen by government ministries or Communist Party bodies, or had a current or retired party or government official as their head. The depressing news is that China has succeeded in subverting the UN human rights system to a great extent, diplomats and activists have been cited as saying. The ruling Communist Party has succeeded in evading censure of its rights record at the UN in recent years while NGOs and alleged victims of human rights abuses on the mainland struggle to make their voices heard. These developments take place in the backdrop of China’s current President Xi Jinping conducting what activists say is the worst domestic crackdown on human rights in two decades. Close to 1,000 rights activists were detained last year – nearly as many as in the previous two years combined, the commentary cited Chinese Human Rights Defenders, a coalition of Chinese and international NGOs, as saying. This was reflected in Geneva too. In March 2014, China blocked a request by NGOs for a minute’s silence at the UN Human Rights Council to commemorate the death of the veteran Chinese rights advocate Ms Cao Shunli. She was detained in September 2013 at the airport while leaving Beijing to head to Geneva for a training session. The 52-year-old activist died in prison due to denial of essential medical care. The commentary cited a Western diplomat, who asked not to be named, as saying China successfully used its economic leverage to convince countries to oppose the idea. The commentary also cited two UN officials, who spoke on condition they not be named, as saying China regularly urges the UN to bar at least 10 activists from attending the Human Rights Council sessions by calling them “splittists, terrorists or criminals”. They include Tibet’s exiled spiritual leader, the Dalai Lama, and two leaders of the World Uyghur Congress, Dolkun Isa and Rebiya Kadeer.